Renegades!? Some of these are AWFUL! In a press conference at the Board of Governors meetings that took place on Tuesday, NHL commissioner Gary Bettman announced the arrival of the league’s 32nd team in Seattle. Although Seattle will become the league’s 32nd team in 2021-22, the franchise has no official name. An official name unveiling will be released later on in the process, but in the meantime, fans quickly found out through Sportsnet that 13 names that have been registered by the Oak View Group, the company that is currently renovating KeyArena to make it ready for the new NHL franchise. 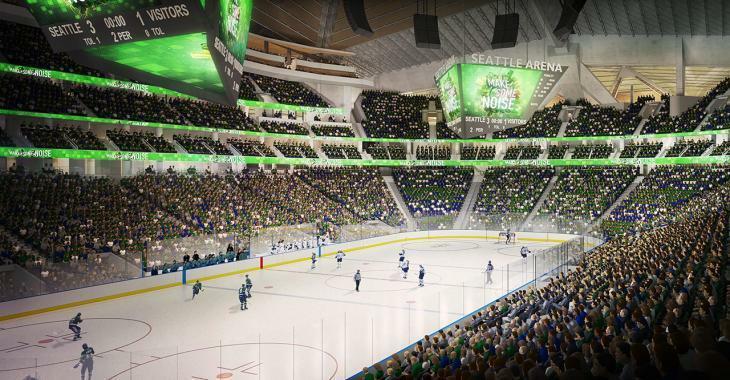 “We’re going to listen to our fans and we’re going to do it right and we’re not going to have a time pressure, but it’s something we’re working on each and every day,” said CEO Tod Leiweke. Jerry Bruckheimer knows some fans will be disappointed, however, we are sure the disappointment will be topped by the thrill of welcoming an NHL franchise to the city. “It’s exciting and daunting and scary and all the things,” Bruckheimer said after the announcement. “You just want to do right for Seattle, and bring great players and hopefully pick a name where we won’t get too many people mad at us. That’s the daunting challenge that we have, but we know that Seattle has the greatest fans.